This video is so damn cheesy and funny . . . This guy doesn’t really seem to be enjoying his bachelor party. 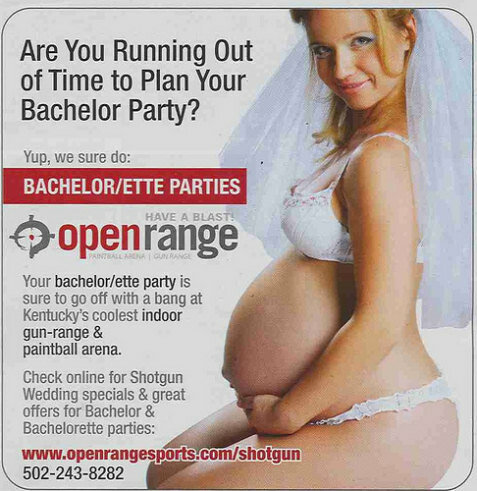 Nothing like planning a shotgun wedding with with a paintball bachelor party. This is an actual ad from Kentucky.